Impart Change was delighted to host a consultative youth forum. The forum brought together 25 youth leaders and trailblazers. It sparked an enlightening dialogue that raised pertinent issues on youth development, human rights, peace and security in the region. The forum highlighted the role of South Sudanese and Kenyan youth in promoting peace, human rights and development in South Sudan and the Region. Championing youth leadership, rights and protection was also highlighted in the cases of Robert Kyagulanyi Ssentamu Aka Bobi Wine, a Member of Parliament in Uganda and Peter Bior, a youth leader in South Sudan who were recently detained. 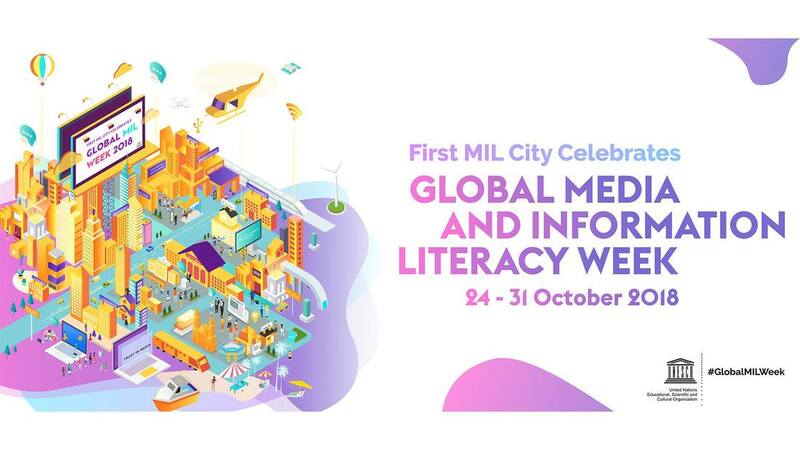 As a strong believer in the power of Media Information Literacy (MIL) to promote peace and security interventions, improve community health, enhance environmental conservation and promote sustainable cities, we are delighted to be part of the UNESCO Media and Information Literacy (MIL) International Organizing Committee (IOC) of the Global Media and Information Literacy Week 2018. The event is scheduled to take place in Lithuania and Latvia from 24th - 31st October 2018. As the event gets closer, we will mark it with one of our local partners. This year we are also working on integrating MIL in all areas of our programming by developing creative projects. We are excited about this prospect and look forward to sharing the good news soon. More information on Global MIL week 2018 can be found in the link below. 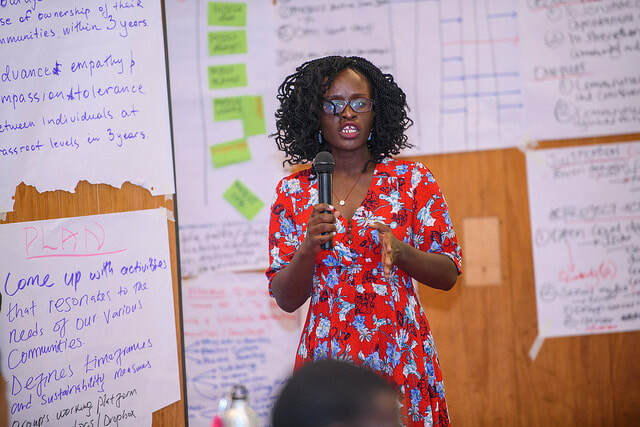 We are delighted to receive financial support from Her Voice Fund to implement our project 'Connecting the dots: Improving HIV/TB youth response by supporting young women working on HIV to contribute to Kenya’s Policy Assessment on HIV/AIDS and Health'. As part of contribution to mitigating structural violence, our goal is to increase the number of young women knowledgeable about local and international policies on HIV/TB prevention, treatment, care and support where they will be better placed to align it with their work. We are also focused on inspiring more young women to play an active role in HIV/TB policy development process where they will have the opportunity to contribute in reviewing, monitoring and evaluation of policies of existing local policies. For more information on Her Voice Fund, please click the link below. Impart Change was privileged to participate in a Solutions Summit implemented by the Institute for Research and Education Exchange Board (IREX) as an initiative of the Community Solutions Fellowship Program. The goal of the inaugural Solutions Summit was to bring together Community Solutions Program alumni, U.S. partners and experts to discuss and address community-level violence and how we can promote social cohesion in at risk communities. The Summit took place in Kampala, Uganda from May 13, 2018 to May 16, 2018. For more information about IREX, please click the link below. ​Impart Change founder and director, Ms. Vyonne Akoth was privileged to participate in the 7th Tana High Level Forum on Security in Africa. The high level forum provided a great opportunity for stakeholders and Vyonne to deliberate on how Africa can ‘Own and Finance’ its security. With a peace fund already put in place, forum participants agreed that it was much cheaper to work on violence prevention, rather than fund security which is a toll order for Africa's budgetary needs. Honored to participate in the forum, our director left the forum more informed, inspired and challenged to take a stronger stance in contributing to Africa’s security strategy from the bottom up. It was an honor for her to have a brief discussion with H.E. Graca Machel who was part of the Mediation team in Kenya’s 2007/2008 post elections violence, and delighted to engage in a fruitful conversation with Samia Nkrumah, whose father set a good precedent for leadership in Africa. For more information on the forum, please click the link below. Impart Change is honored to join the International Steering Committee of the 6th Pan-African Youth Leadership Summit of the United Nations, scheduled to take place in Ouagadougou, Burkina Faso. The flagship event of pan-African young leaders will bring together more than 1,500 young people from Africa and the diaspora, and will focus on the theme: "Towards the appropriation of the Sustainable Development Goals (SDGs), the contribution of young people at the heart of HIV catch-up plan (90-90-90) and the capture of the Demographic Dividend ". In February 2018, we were delighted to partner with the Young Men Christian Association (YMCA) to implement our Global Youth Empowerment Fund project 'Young women in Good Governance: A prerequisite for peace and security'. It was an honor to be recognized by Global Youth Empowerment Fund as one of the their 2nd Cycle 2017 Grant Awardee. 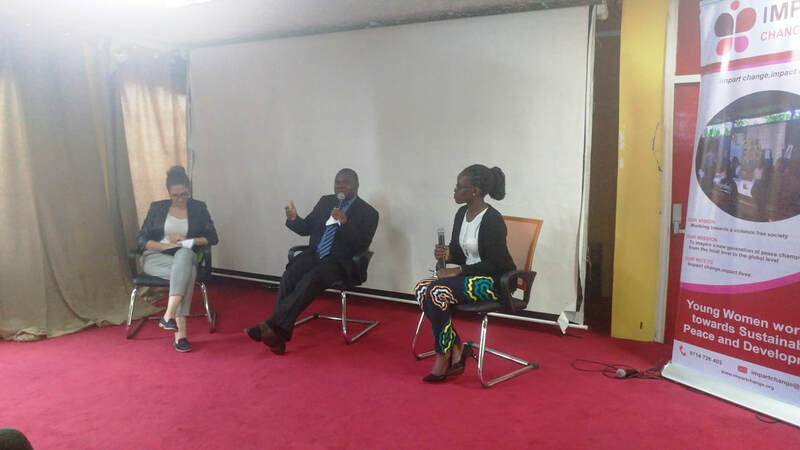 Our training workshop was held at the YMCA Headquarters in Nairobi. Our training empowered young women on Article 10 of the Kenyan Constitution. We zeroed in on national values and principles of governance binding all state organs, state officers, public officers and all persons. We also looked at patriotism, national unity, sharing and devolution of power, the rule of law, democracy and participation of the people; as well as human dignity, equity and social justice. Please find more information about Global Youth Empowerment Fund in the link below.